Home › Announcement › Let’s CONNECT! 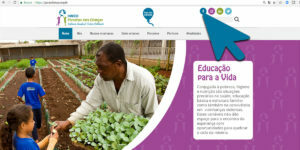 Learn more about our programs and partners in Brazil on our new Para Crianças web site: www.paracriancas.org.br. A special shout-out to Cwist, our communications team in São Paulo, for their outstanding work!